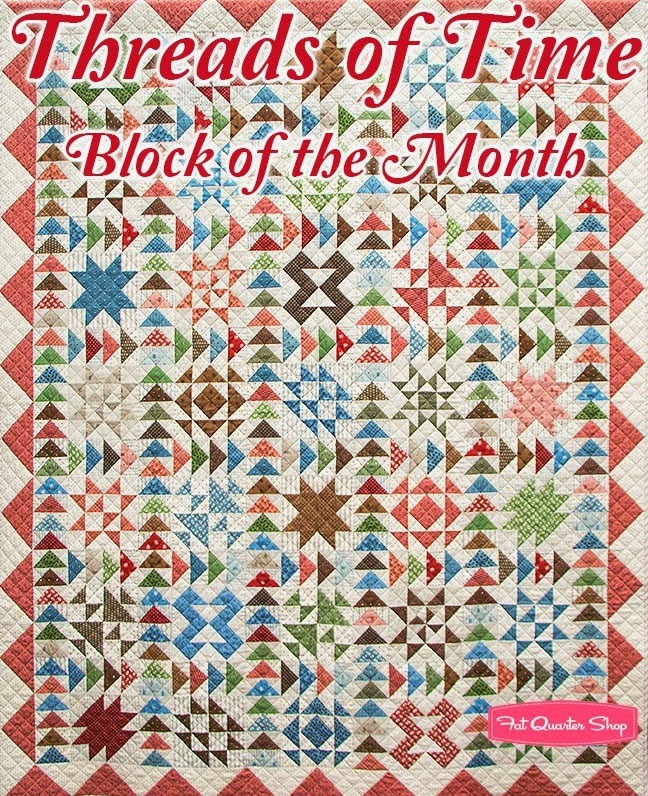 Introducing the beautiful Threads of Time Block of the Month by Julie Hendricksen for Windham Fabrics. This heirloom inspired quilt is made with authentic 1800's reproduction fabrics. The program starts November 2014, don't forget to sign up for yours today! Read on to read Julie's inspiration behind the quilt and let us know what you think! Q: What were you inspired by? A: I purchased an old top several years ago that I though would make a wonderful pattern for a Block of the Month for the store. I loved the fact that it could be made as a sampler quilt but look like a scrappy quilt instead - which are my personal favorite. Q: When you designed this fabric, did you have this quilt in mind as you chose your fabrics? A: Whenever I design a fabric line for Windham, I usually study antique quilts from my personal collection. All of the lines I have done include small light background shirting. After studying this antique top, I realized that this collection would need to include more stripes, a plaid, and a couple of backgrounds that had an overall print that looked almost like a solid. This made for a much more interesting choice of fabrics for the backgrounds on both the blocks and the flying geese. Someone once said it wouldn't be a line from me if there wasn't a polka-dot and this line includes a polka dot in green, red and brown. Q: What is your favorite sampler block in the collection? A: When picking the blocks for this quilt, I needed to choose blocks that could be made with one background shirting and one dark print. I also needed to make sure that the outside edge of each block was only the light shirting. This combined with the light shirting on the flying geese made the blocks just float between the rows of flying geese. It is hard to pick a favorite block but it would be either Devil's Claw (not sure I love the name of this one) or Broken Star.